Catholic Hospitals Offer a Preview of Life Without ‘Roe.’ And Bishops Just Tightened the Rules. Reproductive health advocates worry changes approved this month will inspire a crackdown by Catholic bishops charged with interpreting rules on abortion, sterilization, and contraception. But reproductive health advocates worry changes approved this month will inspire a crackdown on such workarounds by local bishops charged with interpreting the rules. 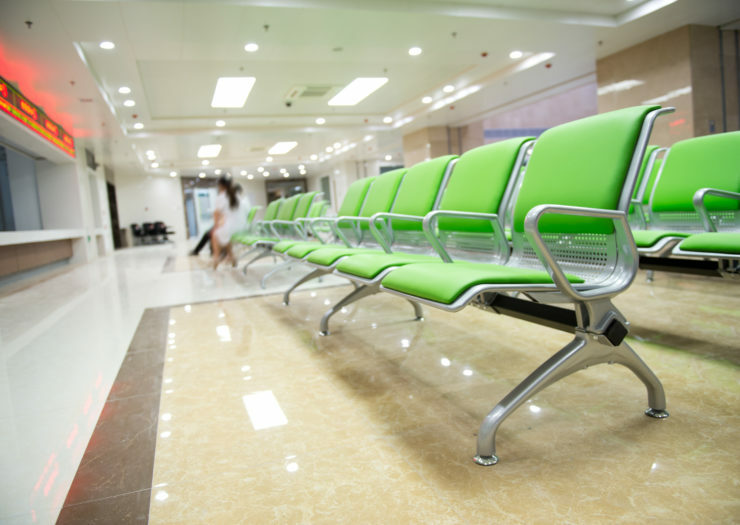 How can you tell if your hospital follows Catholic directives? More than a third of women who name a Catholic hospital as their go-to place for reproductive health care don’t realize the hospital is Catholic, a study found. Debbie Stulberg, the study’s co-author, said this information gap is by design. “[Catholic hospitals] don’t want patients to know the doctrinal restrictions on care, because people wouldn’t go there,” Stulberg told Rewire.News. 1. Check the Catholic Health Association directory to see if your hospital is listed. 2. Go to the hospital’s website. Check the mission statement for any mention of religion, and look for logos that indicate an affiliation with a Catholic system. MergerWatch has information on many of the largest systems. 3. Contact your hospital and ask them if they follow the Catholic Ethical and Religious Directives. Even hospitals that follow these rules may apply them differently, so inquire about specific services you may need. “In any kind of collaboration, whatever comes under the control of the Catholic institution—whether by acquisition, governance, or management—must be operated in full accord with the moral teaching of the Catholic Church, including these Directives,” the document states. This is particularly significant because Catholic hospitals have expanded their dominance of the health-care market through such acquisitions. From 2001 to 2016, the number of Catholic-owned or -affiliated hospital beds grew by 22 percent in the United States, even as the overall number of these hospitals dropped. A pending merger between Catholic Health Initiatives and Dignity Health would create the largest nonprofit health system in the United States, bumping fellow Catholic behemoth Ascension Health to number two. Catholic hospitals are the only accessible option in many parts of the United States. “The rule of thumb is a Catholic hospital in partnership with a non-Catholic hospital cannot formally cooperate with doing evil,” Bishop Robert McManus of Worcester, Massachusetts, chair of the subcommittee that crafted the new directives, told the Catholic News Agency. This policing of “intention” could have a chilling effect on many arrangements whereby providers try to help patients get around the Catholic directives to obtain care, Stulberg said. The Trump administration has moved to grant Catholic hospitals and other religious objectors—like the pharmacist who refused to fill a prescription for a miscarrying woman—even broader leeway to impose their religious beliefs on patients. Justice Anthony Kennedy’s retirement has placed at risk U.S. Supreme Court rulings protecting abortion, contraception, and LGBTQ rights. Catholic hospitals, under the directives, have turned away bleeding patients in the process of miscarrying, forced people to sicken before they induce labor to save their lives, refused to provide gender-affirming care to trans patients, and denied tubal ligations and contraception. In other words, Catholic hospitals may offer a preview of what life could be like with a second Trump appointee on the Court.